Lexington, Ky. – March 21, 2017 – Kentucky Horse Shows LLC is pleased to announce that they will be joining forces with Ohio’s World Equestrian Center (WEC) to create an 11-part USHJA National Hunter Derby Series. 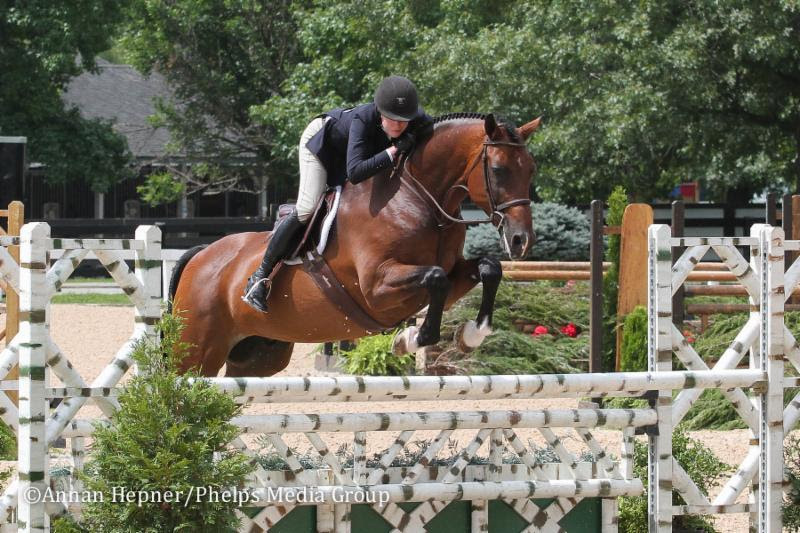 In addition to the 10 USHJA National Hunter Derby events held at the Kentucky Horse Park and the World Equestrian Center, there will be a $30,000 Series Finale and $30,000 in leading rider bonuses. The $30,000 World Equestrian Center/Kentucky Horse Shows Leading Rider Awards will include a $20,000 cash prize to the professional rider accumulating the most points in the 11 classes that make up the 2017 World Equestrian Center/Kentucky Horse Shows series. The series-leading amateur and junior riders accumulating the most points will each receive a $5,000 cash prize. Riders will receive points only on their highest placed horse in each of the classes. The awards will be presented at the conclusion of the finale event during the WEC Invitational. Driven by a passion for horses and a commitment to supporting equestrian sports in the United States, the World Equestrian Center aims to return horse showing to its former grandeur while incorporating an element of fun reminiscent of the horse shows of the past. Located in Ohio’s ‘Golden Triangle’ the venue is less than one hour from Cincinnati, Columbus and Dayton airports and now with an exciting new venue planned for 2018 in Ocala, Florida. For more information please visit www.WEC.net. For more information on Kentucky Horse Shows LLC and the Kentucky Spring Horse Shows, please visit www.kentuckyhorseshows.com. To request a prize list please email prizelist@kentuckyhorseshows.com.